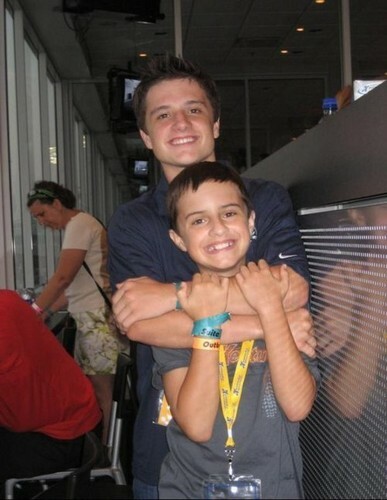 Josh [Personal Photos]. . Wallpaper and background images in the josh hutcherson club tagged: josh hutcherson photo josh actor tumblr peeta mellark hutcherson the hunger games personal photos. Josh puts gas in his car with his dog, Driver.